Following her mother's suicide, 15-year-old Lane Roanoke goes to live with her wealthy maternal grandparents and cousin Allegra at their rambling rural estate in Osage Flats, Kansas. Being of a similar age and both having lost their mothers, Lane and Allegra form a close friendship. They spend one fateful summer hanging out with local lads Tommy Kenning and Cooper Sullivan. But life at the Roanoke Estate isn't quite the idyllic homestead it appears to be. The family has passed a dark secret through the generations and if Lane doesn't escape, it will destroy her. I've been hearing so much about this book. In fact most of my book-circle acquaintances are either currently reading it, have read it or have it queued for future reading. From what I've heard so far, opinions seem to be heavily divided - you either love it or hate it. Me? I'm firmly in camp 'love it'. Whilst the subject matter wont be for everyone, I personally thought it was sensitively and compassionately translated into words. Chapters alternate between 'Then' and 'Now' as the story unravels and captivates. I was totally engrossed and couldn't put it down. Amy Engel's writing is faultless and beautiful; it flowed perfectly and was a joy to read. She made me feel every emotion possible and when a book is able to do that, it's very special indeed. 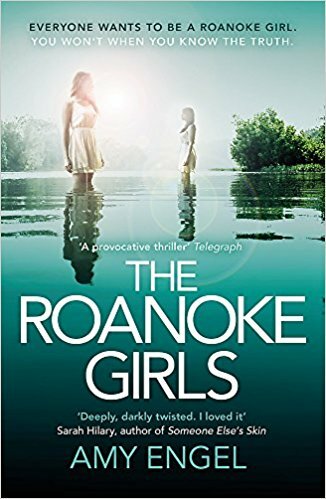 The Roanoke girls seem to have it all. But there's a dark truth about them which is never spoken. Every girl either runs away, or dies. Lane is one of the lucky ones. When she was fifteen, over one long, hot summer at her grandparents' estate in rural Kansas, she found out what it really means to be a Roanoke girl. Lane ran, far and fast. Until eleven years later, when her cousin Allegra goes missing - and Lane has no choice but to go back. Amy was born in Kansas and spent the first few years of her life living in a small commune among the wheat fields. When she was three, Amy and her parents moved to Iran. Although she was very young when she lived there, Amy has incredibly fond memories of Iran, both the people and the country. A few years later, her parents divorced and Amy and her mom moved to Kansas City, Missouri, where Amy attended the local elementary school and often gave the teacher hand written notes correcting her spelling (this did not endear Amy to the teacher). When Amy was in sixth grade, she moved to Taiwan with her mom and step-dad. Although in hindsight it was a wonderful experience, at the time she wasn’t too thrilled to be leaving her friends and school behind. As a result, her parents endured much pre-teen pouting. After a year, Amy and her family returned to Kansas City, and, at the same time, Amy’s dad relocated to California. Throughout junior high and high school Amy spent the school year in the land-locked Midwest and holidays and summers on the beach. She never managed to surf, but can swim her way out of mean riptide. After high school, Amy attended the University of Kansas (Rock Chalk, Jayhawk!) where she spent four blissful years alternating between reading (B.A. in English) and staying out way too late with friends. Immediately upon graduation, she moved to Washington, DC to begin law school at Georgetown University. Amy returned to Kansas City with her law degree and worked as a criminal defense attorney for ten years—a job that is both less exciting and more heartbreaking than television makes it appear. She married a fellow attorney and once they began having children, decided to stay home and split her time between mothering and writing, with the goal to be a published author within ten years. She pursued this goal by doing absolutely nothing for the first couple of years. In her defense, after a day of chasing two small children around she had zero energy left for anything else (save the occasional glass of well-deserved wine). Eventually, though, she buckled down and wrote a novel. Unfortunately, while it wasn’t terrible, it wasn’t all that great, either. She trunked that book and then spent a year ruminating on new ideas. In other words, procrastinating. But one day she was hit with a flash of inspiration and wrote her debut young adult novel, THE BOOK OF IVY. It was published in 2014 and the sequel, THE REVOLUTION OF IVY, followed in 2015. 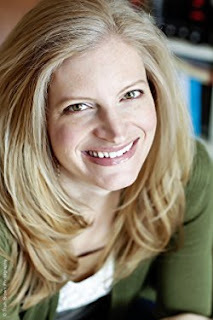 In between writing those two books, she began work on THE ROANOKE GIRLS, her first adult novel. The book’s subject matter was dark and the characters were twisted and damaged, but it was the most fun Amy ever had writing. She realized she enjoyed exploring the shadowy side of the human experience, and she’s putting that discovery to good use as she works on her next novel.